Concerned that news from Rome seldom reveals the positions taken in debate by representatives of the hierarchy of England and Wales, Ignatius sent our seasoned Vaticanista, Francis Xavier Smith, to interview Cardinal Vincent Nichols. 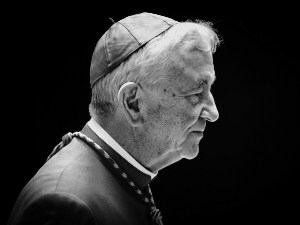 Smith quizzed Nichols on the now notorious ‘Letter of the Thirteen Cardinals’. Did Vincent sign it?